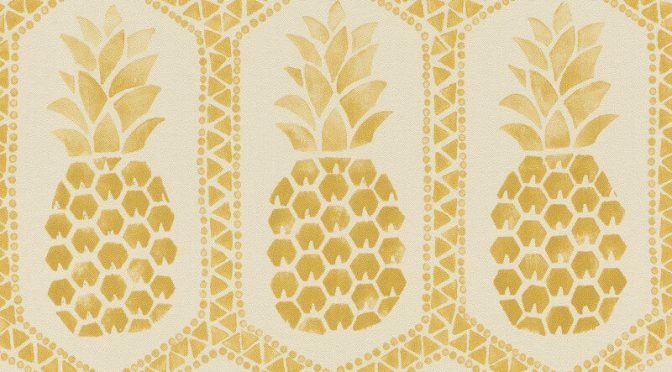 Barbara Becker Pineapples Cream Gold Wallpaper is designed to add a fashionable touch to your walls. Firstly, this delightful wallpaper is part of the much loved Home Passion Wallpaper Collection. So it will make a welcome addition to any room. It features a stylish and lavish pineapple design. It is also brought to life with an impressive cream and gold colour scheme. Finally, the Barbara Becker Pineapples Cream/Gold Wallpaper is a versatile design suitable for use throughout a room. Furthermore, it makes a stunning feature wall. Add gold accessories and home furnishings to complete the look.